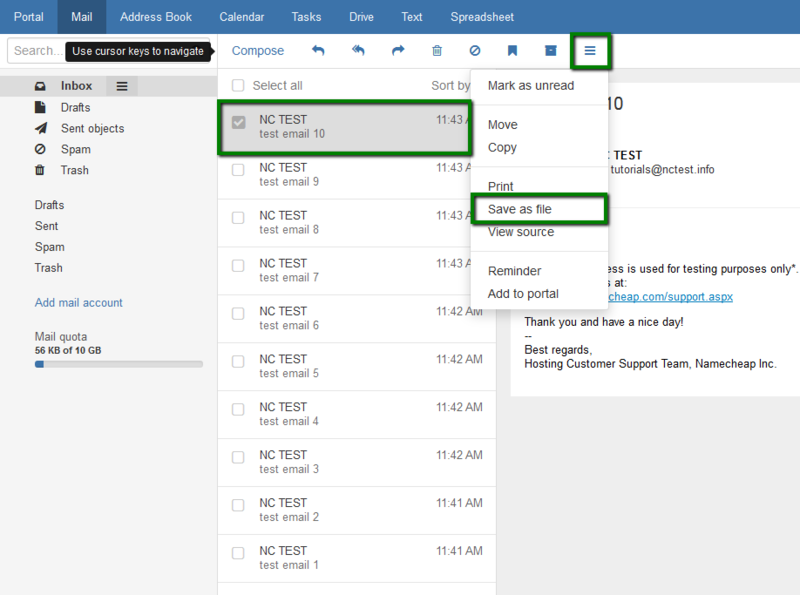 NOTE: the option Select all in App suite interface selects only emails shown on the screen. 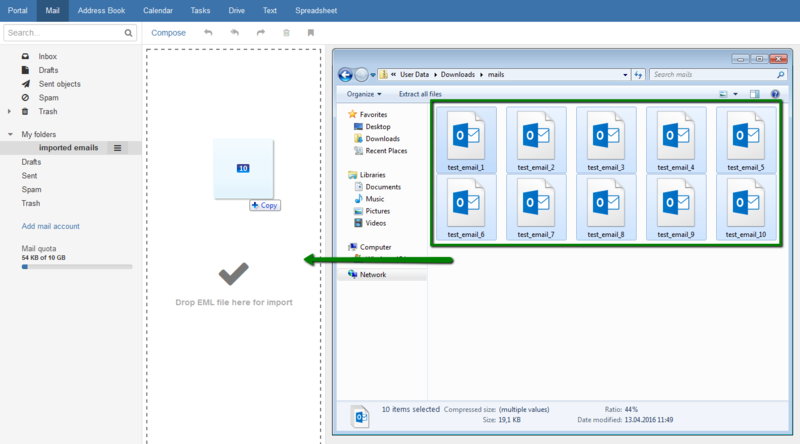 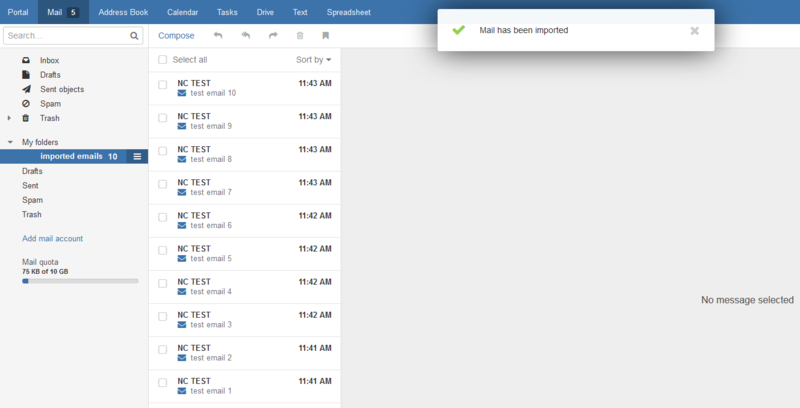 In order to import emails to App Suite webmail select them and then drag-n-drop to the required folder. NOTE: you can import only emails saved in .eml format.